Good afternoon! 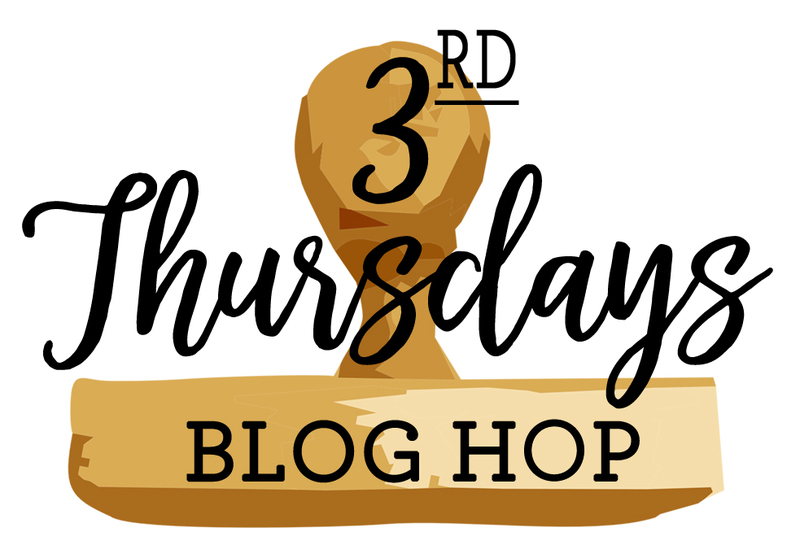 Welcome to the 3rd Thursdays Blog Hop! 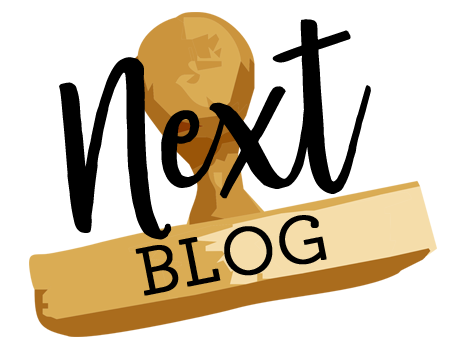 This is a pretty new blog hop, so for now, it’s a short hop! I’m excited to be on this team with several very talented people! Our theme this month is “Last-Minute Lucy”, so we’re showing you some last-minute crafting projects for the holidays. My last-minute project is a money holder that I made for my niece. I used a very old template that I found on Pinterest, but it was a dead end so I can’t link it. The designer was Lisa Somerville. I updated it and made it for Christmas. The case for the money, if you will, is Blackberry Bliss cardstock, 6-3/4″ x 6-1/2″. Score on the long side at 3-1/8″ and 6-1/2″. Fold and burnish on the score lines, and put Tear & Tape or another strong adhesive on the 1/4″ flap. Before you close the holder, punch a half circle out of the front using the 1-1/4″ Circle punch. 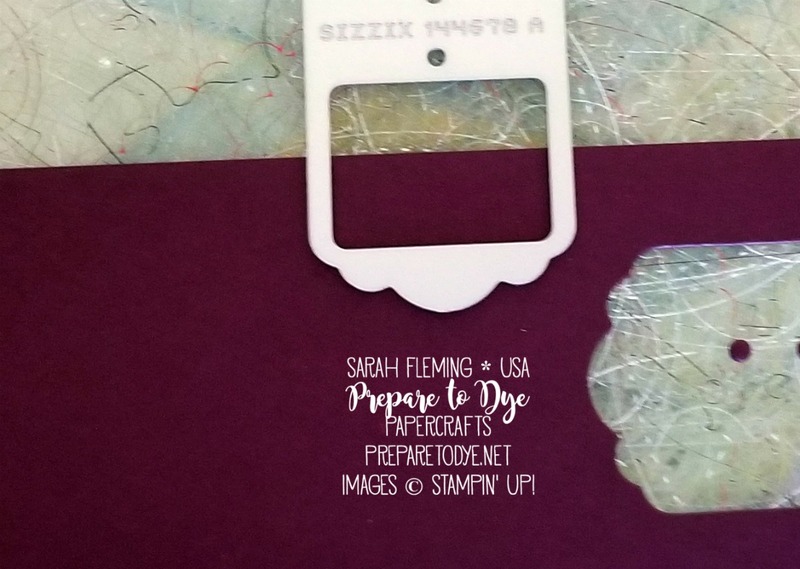 Then glue down a strip of Frosted Floral designer series paper, 3″ x 1-1/2″, to the back of the inside of the holder so it will show behind the half circle when the holder is closed and the slider is pulled out. Just so it looks nice. 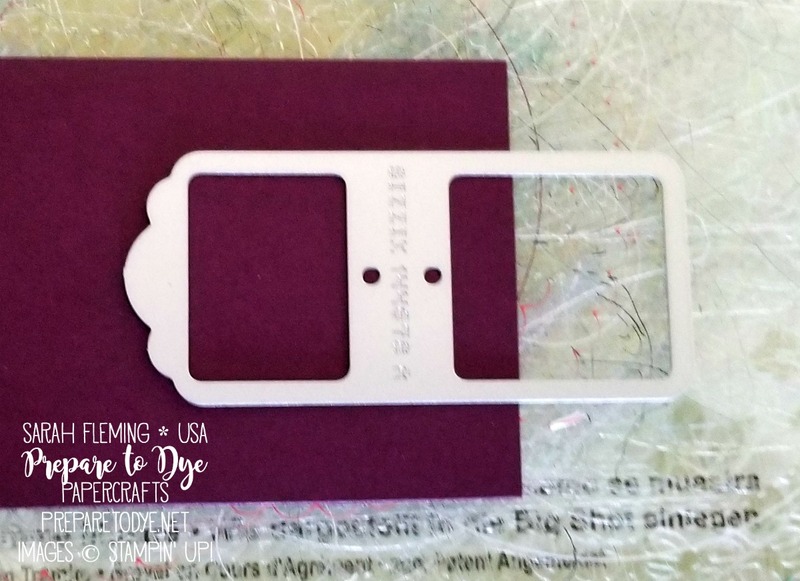 Cut a piece of the designer series paper for the front of the money holder; this is 3″ x 6-1/2″. Glue it to the front, flip it over, and line up the circle punch again and cut the half-circle from the DSP. NOW you can pull off the release paper and close the money holder. The slider is 6-3/8″ x 2-7/8″. I made it from Whisper White cardstock, and I was going to leave it plain because it will be covered by money, but then I remembered she’ll take the money out of it, and it should be pretty. I stamped the little branches from First Frost all over it in Old Olive. 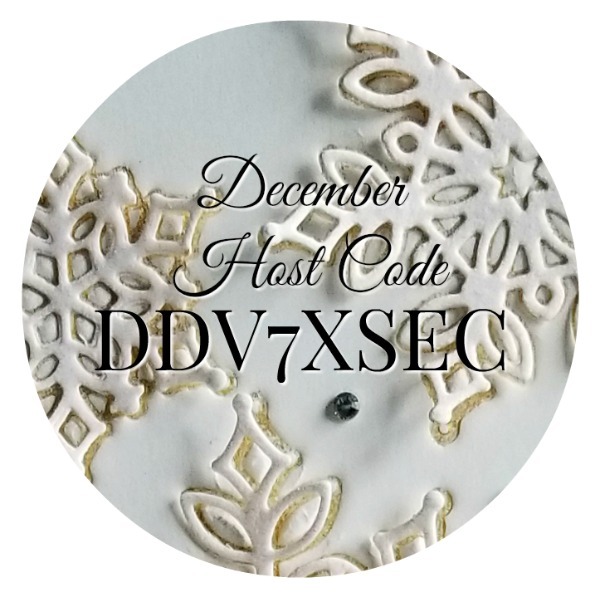 Then I used the little tag from the Swirly Snowflakes thinlits to make the little tabs. Here you can see how I cut them. For the big one on top, I folded it at the score line and glued that down to the back of the cardstock. Then I stapled a piece of Whisper White Flax Ribbon (coming soon!) to the very top of it to hold the tab in place and also provide a way to pull it out. Oh! After I slid the slider into the holder, I realized that if you hold this straight up and down, the slider will fall right out of the bottom of the holder. So I cut a dimensional down (about half a dimensional) and stuck it between the front and back of the holder, right at the very bottom edge to act as a stopper so the slider can’t fall through. 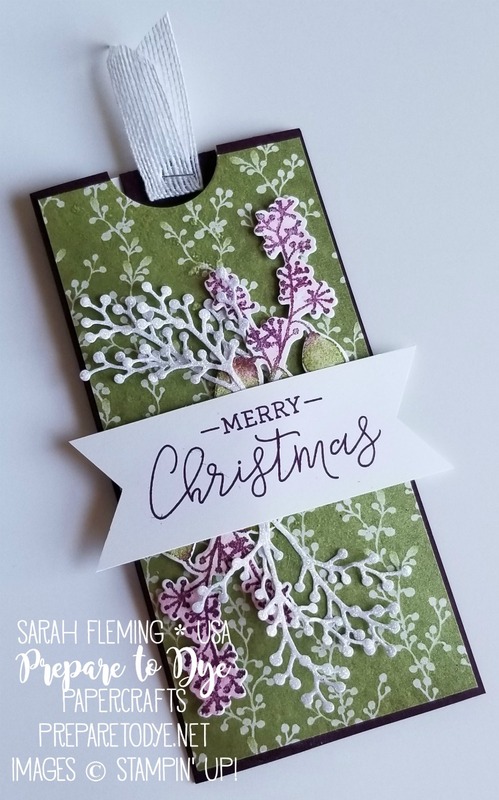 To finish decorating the front, I inked up a stamp from First Frost in both Old Olive and Blackberry Bliss, stamped, and cut it out with the coordinating die (twice). I used my Wink of Stella pen to add shimmer and also give it a watercolor-y halo-y look. I wanted the colors to run, and they did! I attached those to the holder with Mini Dimensionals. 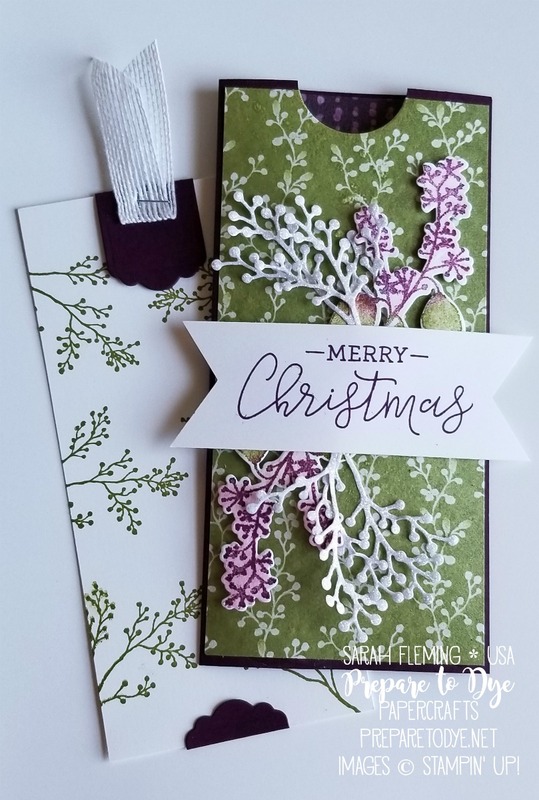 I also cut four branches using one of my favorite dies from this set out of the Sparkle Glimmer paper and glued those down. Then I stamped the sentiment, from Warm Hearted (this has turned out to be my favorite Merry Christmas stamp from this year’s holiday catalog, and I’m really bummed that it will retire January 3rd! ), in Blackberry Bliss on a strip of Whisper White. I don’t have dimensions for that, because I just stamped it and cut it down to what looked like a good size. I think it’s 4″ x 1-1/2″ after I flagged the ends with the Banner Triple punch. I added that to the money holder with Dimensionals. Note: I forgot to snap a picture that shows just how shimmery this thing is. 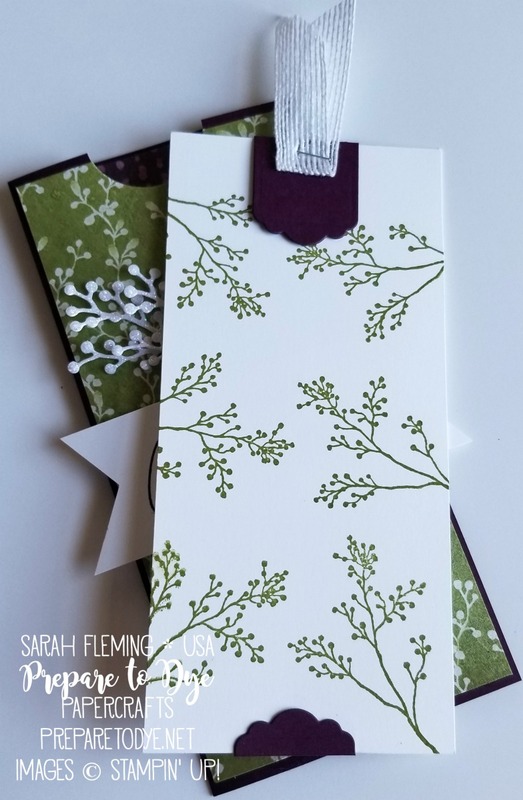 Everything shimmers — the designer series paper, the floral sprig, the glimmer paper branches… Everything! Old Olive + Blackberry Bliss = my new favorite holiday color combo! Swoon!! And the added shimmer? Stop it. Another fabulous project, my friend! Such a gorgeous money holder, Sara! Love how you used the framelit to create the place holder for the money. Amazing!